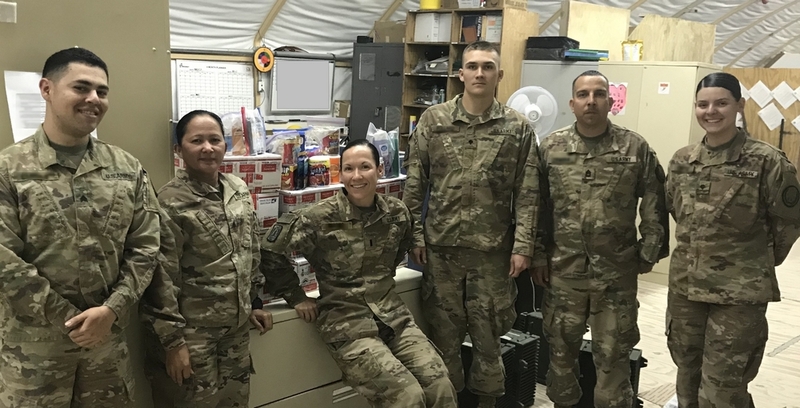 Care Packages for Soldiers: Thank Note and Pictures From Kuwait! Thank Note and Pictures From Kuwait! Here's a note along with a couple of pictures from a soldier in Kuwait.These packages were mailed out at the beginning of the month. The packages contained toiletries, food, snacks and other goodies. I wanted to let you know we received the care packages the Airborne Angel Cadets sent. Thank you very much? 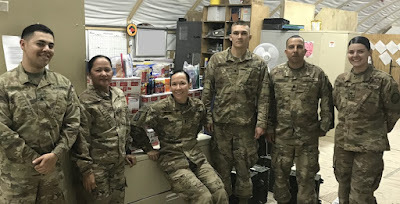 I have attached a few pics of the Soldiers with the care packages and goodies. Thanks again! Some of the soldiers who received the care packages! A few of the care packages that were received by the soldiers.